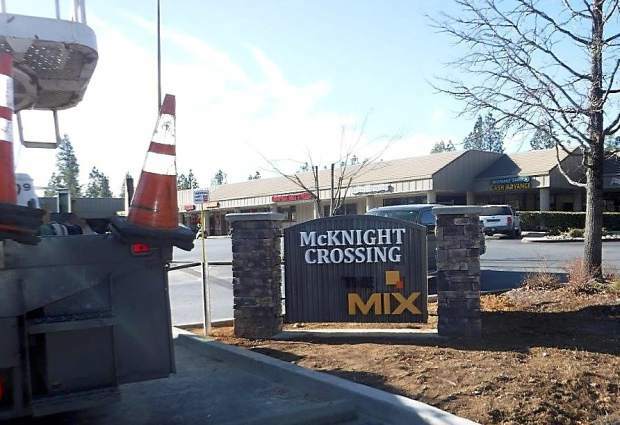 The owner of the Grass Valley Shopping Center, home to Kmart, Big 5 and SPD Market, has completed the first phase of a planned renovation, with new signage along McKnight Way. The center, which has been nameless and often identified only as “the Kmart Center,” has been rebranded as McKnight Crossing. The next phases to be introduced will be a new facade and an open market concept called “the Mix,” a collection of local fare and lifestyle shops and destinations.